Mr. Mujid Kazimi is a Professor of Nuclear and Mechanical Engineering at Massachusetts Institute of Technology (MIT). He is the founding and present Director of the Center for Advanced Nuclear Energy Systems (CANES). He was the Head of the Department of Nuclear Engineering at MIT from 1989 to 1997. He is an expert in the design and safety analysis of nuclear power plants, and the nuclear fuel cycle. Over the past ten years, Kazimi has devoted his time and expertise to areas such as advanced fuel and reactor design for enhanced reliability and economics, overseeing in his many professional capacities crucial issues such as safety and society's wellbeing while pursuing innovative and technologically advanced energy research. As a teacher and researcher, Kazimi has contributed to introducing and disseminating the latest technological advances to generations of students. He has supervised over 50 PhD theses at MIT. 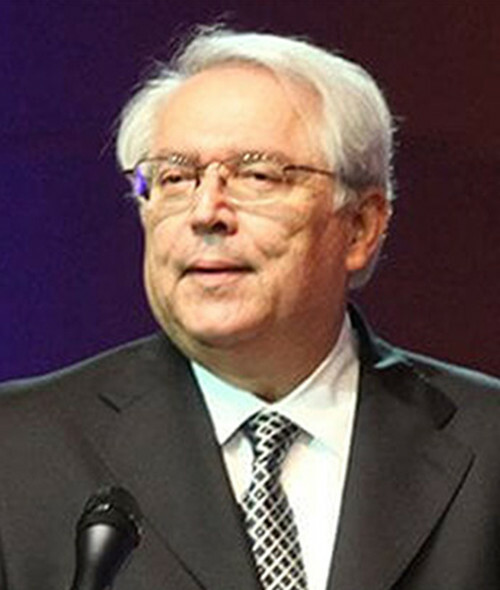 He has been a member of many boards including Board of Trustees at Al-Quds University, Jerusalem, review panel of the Nuclear Energy Research Program (CEIMAT) Spain, the Blue Ribbon Committee on Rejuvenation of Scientific Research in Kuwait, and the International Advisory Board on nuclear Energy for the United Arab Emirates. Mujid Kazimi holds a Bachelor in Engineering and Nuclear Engineering form Alexandria University, Egypt and an MS and PhD in Nuclear Engineering from MIT.